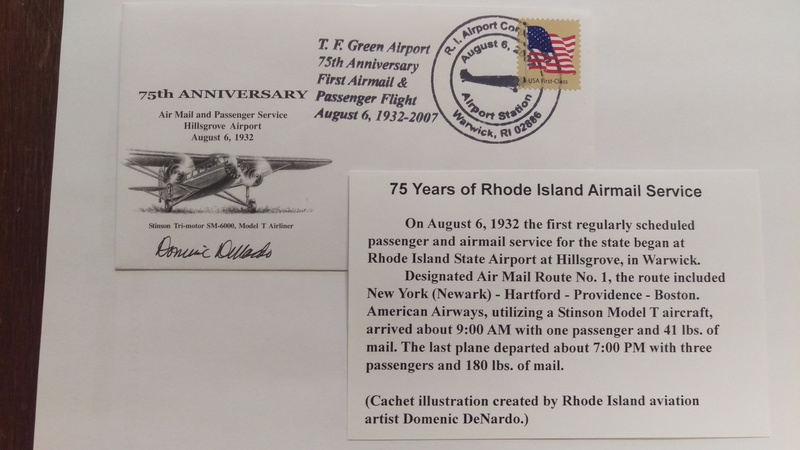 On August 6, 1932, the first regularly scheduled passenger and airmail service for the state of Rhode Island began at RI State Airport at Hillsgrove, in Warwick. 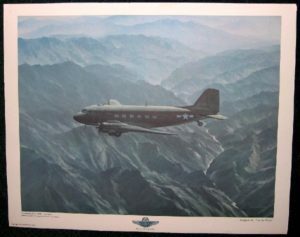 This is a commemorative postal cover designed by renowned local Rhode Island aviation artist Dom DeNardo. 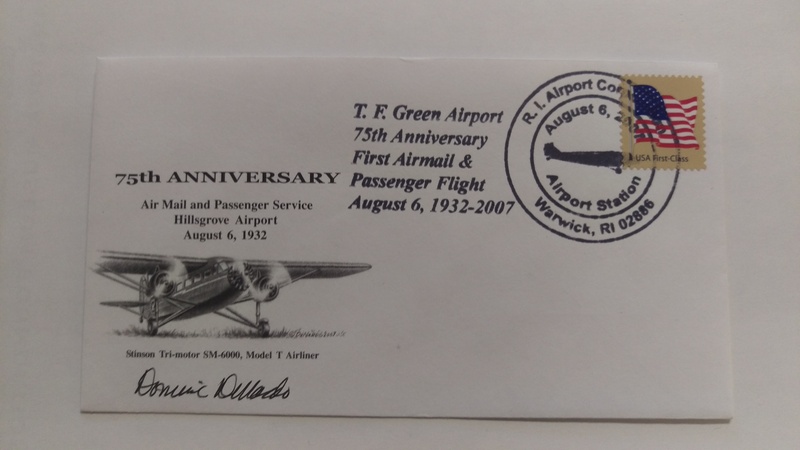 This brand-new postal cover commemorates the 75th anniversary of first passenger flight out of Hillsgrove Airport (now Warwick’s T.F. 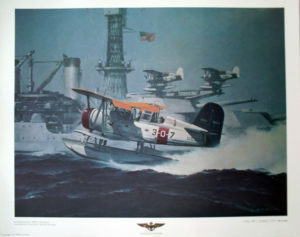 Green Airport), signed by DeNardo. 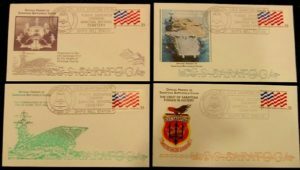 Includes a card describing history of the airport inside the envelope.